A place I have rarely mentioned until now, a wonderful, magical place that helps dreams come true (well if your dream is to get help for going to MAGFest at least). Anyway, this place is known as Concatenation Records and is home to many great releases. A few I am highlighting here as a crash course in the website with the following releases. From a collection of the best minds in video game inspired music, all concentrated in the pure awesomeness of The Shizz Minibosses boards comes Nevar Say Die! Compilation, Volume One. Released October 9th, 2007 for $5 to get hopeful shizzies out to MAGFest, the album boasts impressive original tunes and incredible video game covers from the endless talent in the minibosses boards community. The album is still available now to continue providing money for the ever helpful Shizzie MAGFest Fund. Check out the incredible list of artists below over the 19 tracks. Still an incredible buy even today. 18. mercatfat - That's So Ironic! 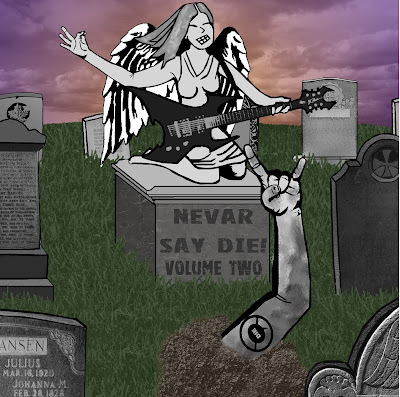 On November 4th, 2008, just about one year after the initial release, Concatenation brought us Nevar Say Die! Compilation, Volume Two. This time compiling 17 tracks of refined shizzery for the same goal of getting people out to MAGFest, we see a lot of new additions along with old favorites and staples of the community contributing incredible works. Available as Either a $5 download or $8-10 for a ritzy pressed copy of the amazing album (I have my copy by the way). Once again check out the tracks below and get prepared, as Nevar Say Die 3 is on it's way soon! 13. streifig - Honey, you ate the onion pie again, didn't you? Our final album started as a humble request to bring some Christmas cheer to some kind folks grew into another behemoth collection of stellar work from The Shizz Minibosses community. 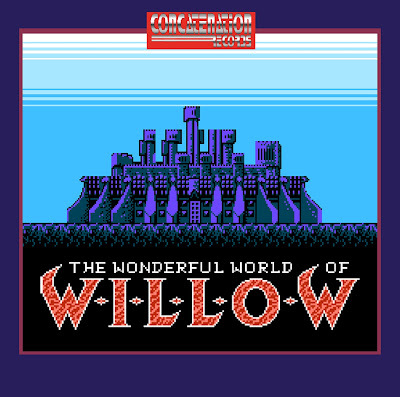 Taking the amazing, but overlooked soundtrack to the NES game based on the movie Willow, over a dozen artists organized and released The Wonderful World of Willow. This 18 song collection covers the entire soundtrack to Willow, and is amazing whether or not you are familiar with that particular games soundtrack. This is also another album which puts money into the MAGFest fund of which I have mentioned many times. Five dollars nets you the 320kbps MP3 files, while a measly $8-10 will hook you up with the full fancy CD Package. Just like the above two, this album features a who's who of amazing VG inpired musical talent and then some. I hope that was a sufficient introduction to the many amazing releases from Concatenation Records. Be sure to check them out at concatenationrecords.com and keep an eye on them for new and fresh releases of original and VG inspired works, many of which are free to download! First MAGFest VIII bands announced!